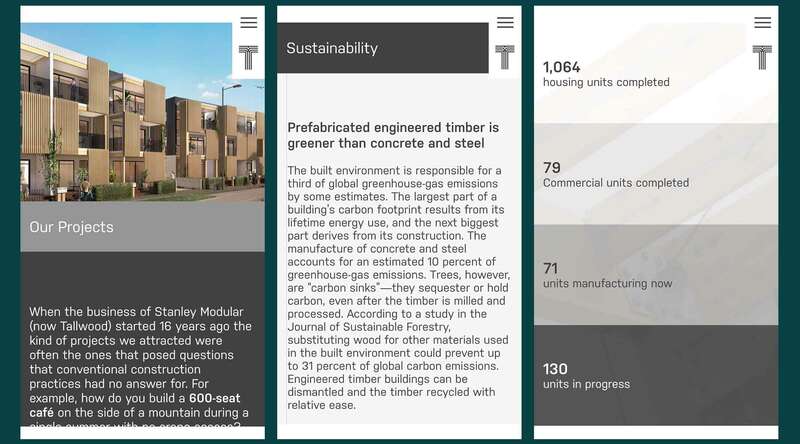 Tallwood, the result of a recent merger, is an innovative design and technology company transforming the way we construct buildings with pre-fabrication. 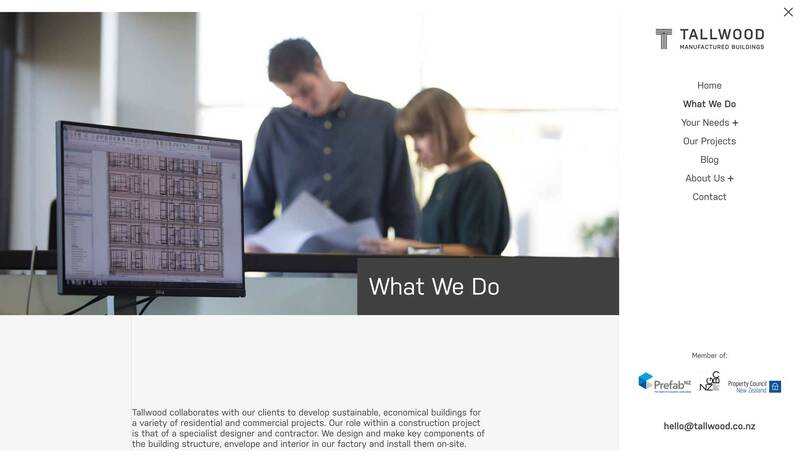 They needed a website to showcase their work processes and educate New Zealand on this new building technique. I was tasked with designing the website with full responsiveness that would function across any device. 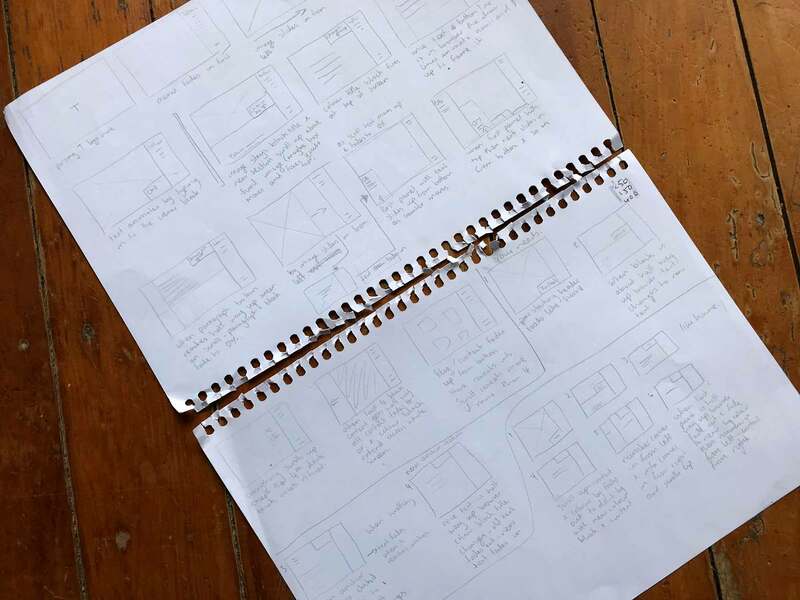 Working alongside content creators, we ensured Tallwood’s message was expressed purposefully and with our developer working in-house I was able to make sure the site was delivered to the same specs as the designs created in Sketch. Following a rebrand, Tallwood required a website that reflected who they were and demonstrated how they create buildings quickly, cost-effectively and sustainably. Tallwood represents a change in the building industry and this needed to come across in their website by establishing that their offerings were remarkably different to their competitors. Tallwood wanted to stand out from the crowd and show their individuality. I researched architecture website design and used a lot of influence from this style of website to inform the structure and visuals. From my research I began sketching out the general layout of the site. We wanted to bring a wow factor to the site by using animation when displaying the content. In particular on the homepage as it will typically be the user's entry point. The animations needed to work alongside the content rather than form a distraction. I created a storyboard to map out the animations at each stage of the homepage. 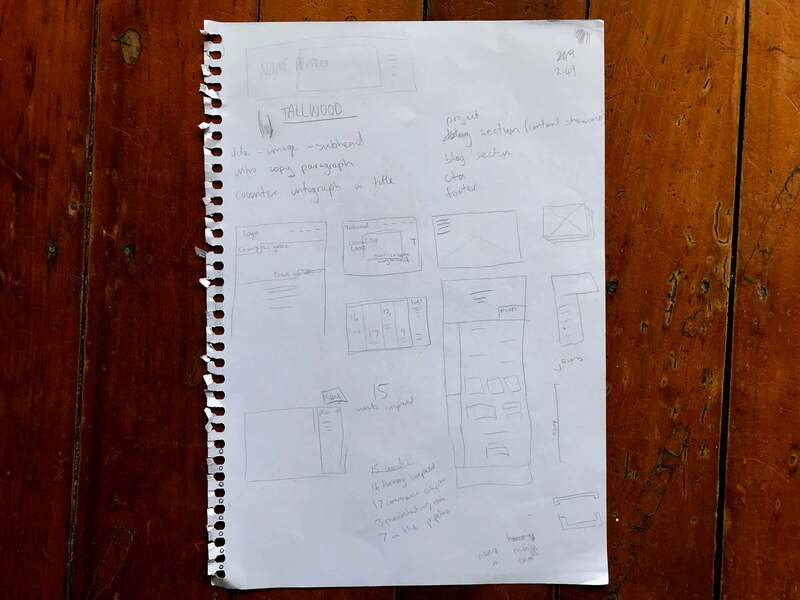 These were used to inform a Principle prototype as well as aid the developer and client understanding. Inspiration for the design of Tallwood was drawn from architecture websites and the building processes. Plans are an integral part of any new construction and the navigation is designed to act like a key. As you scroll down the page the navigation remains fixed allowing you to view the content but also have quick access to the navigation - much like how a plan’s key would function. If the navigation is not needed then it can easily be minimised to allow the user to view the page at full width. We also incorporated lines to frame the content which replicate the ruled lines of a plan. Tallwood was delivered a unique website that conveyed all necessary information to current and potential clients with simple navigation. They currently have several projects underway, including a medium density apartment and terraced house development in a major Auckland development.